When you’re thinking about becoming a surrogate, there are a lot of resources out there about creating a positive, lasting relationship with your intended parents — and that’s important! But, there may be another relationship you haven’t thought a lot about. If you haven’t asked yourself this question yet, do so now: What kind of future relationship do I want to have with the child that I carry? Being a child’s gestational carrier is a decision that will impact you and the child forever. It’s not something you can just ignore or pretend didn’t happen, and you shouldn’t! It’s something that you should celebrate for years to come. For many gestational carriers, that involves having a personal relationship with the child they give birth to. If you’re like most gestational carriers, you don’t have any experience with this kind of relationship. Don’t worry — American Surrogacy is here to help. Our surrogacy specialists can answer any question you may have about your future surrogacy relationship to help you be as prepared as possible before the baby is born. 1. What Kind of Role Do I Want to Serve in My Surro-Baby’s Life? When it comes to the role that gestational carriers play in the lives of children they give birth to, the options are endless. Some surrogates and intended parents mutually end their relationship after the baby is delivered, while some stay in close contact for years to come, treating each other as extended family. As a surrogate, you have a big decision to make. You will need to decide what kind of role you want to play in your surro-baby’s life. And, you’ll need to decide this long before the baby is even born. Perhaps you want to be the cool aunt-like figure. Maybe you want to be an older mentor. Or, you may just want to be available to answer whatever questions the child may have as they grow up. Whatever you want, determining your role will always be up to you! 2. What About My Relationship with the Intended Parents? It’s important to remember that if you want to have a relationship with the child you give birth to, you will also need to be comfortable with a relationship with their parents, too. After all, a small child can’t exactly manage a relationship on their own! 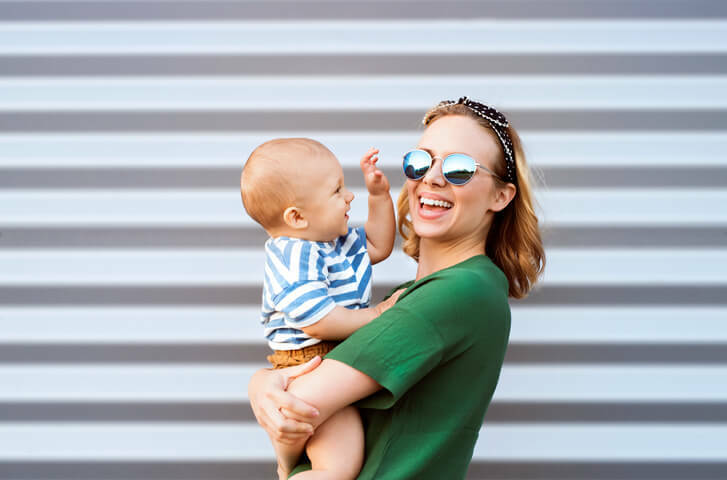 When you’re thinking about your future relationship with your surro-baby, take into account the relationship you have now and plan to have in the future with your intended parents. Not every surrogacy contract will detail this relationship ahead of time, but it’s a good thing to talk about with your intended parents early on in your journey. Of course, relationships ebb and flow over time, but setting up basic expectations (in-person visits, texts, emails, pictures, etc.) can help make the transition from surrogacy partners to lifelong friends a little easier. Your intended parents may also have a preference for the future relationship their child has with you. You will need to respect those wishes, which is why being aware of them earlier rather than later can be so helpful. 3. How Will Distance and Time Play Into Things? As you likely know, any long-term relationship requires a lot of work and commitment. If you and your intended parents live far apart, you will need to put in extra effort to maintain that relationship throughout the child’s upbringing, if you want to be a part of their life. Keep in mind that life situations can change. You or the intended parents may move, or certain circumstances may occur that make it difficult for your relationship to continue. When going into a post-surrogacy relationship, know that you can’t predict the future, but you can plan for it. Think about how you will maintain a relationship when things get tough. You may even want to write a letter to your surro-baby when they are old enough to read it — just in case you can’t have the relationship you originally aspire for. Remember that it’s completely normal for relationships to change over time, and it’s important to expect that in your surrogacy relationship, as well. 4. How Do I Decide What’s Right for Me? It can be overwhelming to think so far in the future about a relationship that may or may not be. After all, it will often be up to the child born via surrogacy if they want to maintain a relationship with the woman who gave birth to them. Trying to decide what kind of relationship you want with them years in advance can be nerve-wracking. Like with all relationships, you can’t predict the future this relationship. You can only hope. To help you decide what kind of relationship you want with this child, talk at length with your surrogacy specialist. They can provide examples of other relationships to help you figure out what is right for you. Of course, include the intended parents in your conversation, as well. You can all craft the perfect relationship goals together and figure out what is best for your surrogacy partnership. Next Next post: Switching Surrogates: Is It Possible?